Whether it’s a charity event, marathon or festival, it’s likely you will need—or may even be required to provide—portable sinks, or hand sanitizing stations. 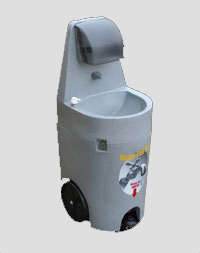 Our 2-person portable sink rental will arrive equipped with a filled fresh (non-potable) 45-gallon water tank and a holding tank into which the gray water is discharged. This portable handwashing station features 2 soap dispensers and comes fully stocked with soap, paper towels and trash container. 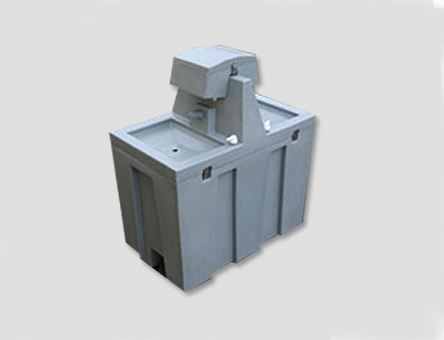 The water flow is foot pump controlled for easy hands free washing and reduced water usage. The Junior Handwashing Station is perfect for smaller venues. With just one sink, it features a foot pedal for pumping fresh water and has a built-in soap and paper towel dispenser allowing guests and attendees to practice good hygiene.